What Are Some Causes of Hair Loss in Women? Hormone imbalances, disease, childbirth and certain medications can all cause hair loss in women, according to WebMD. The balance between testosterone and female hormones often plays an important role in hair loss. In both men and women, a derivative of testosterone known as dihydrotestosterone, or DHT, is a leading cause of hair loss. Testosterone converts into DHT, which then binds to receptors in hair follicles on the head. This causes the follicles to shrink, which makes it impossible for hair to thrive, according to WebMD. 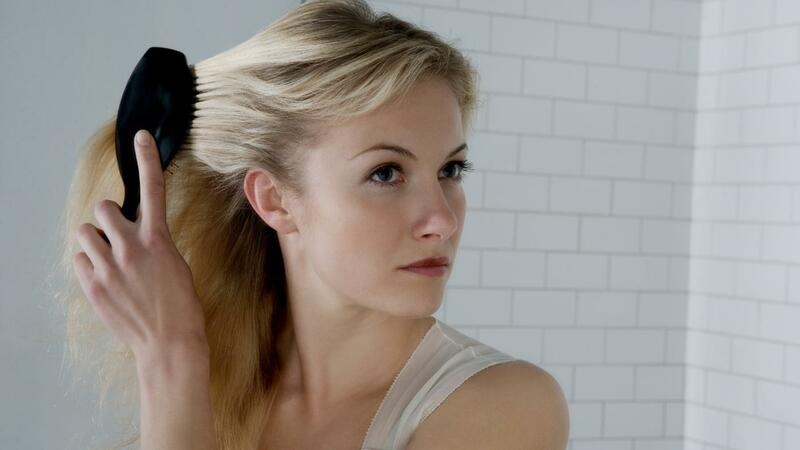 High levels of DHT can cause hair loss in women. These levels often rise in response to rising levels of testosterone, which can occur as the result of polycystic ovary syndrome. However, some women experience hair loss caused by DHT even when the levels of the hormone are normal. Some women are overly sensitive to regular levels of DHT, as stated by WebMD. Thyroid problems can cause hormone imbalances that lead to hair loss, according to WebMD. Both overproduction and underproduction of thyroid hormone can disrupt the normal hair growth cycle. Many women lose a large amount of hair after giving birth. Pregnancy hormones prevent hairs from falling out as they usually would, according to WebMD. When the pregnancy ends, these hormone levels drop, causing large amounts of hair to fall out all at once. What Are Some Symptoms of Anemia in Women? What Is a Home Cure for a Yeast Infection?